The wife and I decided to head on back to the Dairy Farm area last week to visit a somewhat "old" project - Eco Sanctuary. 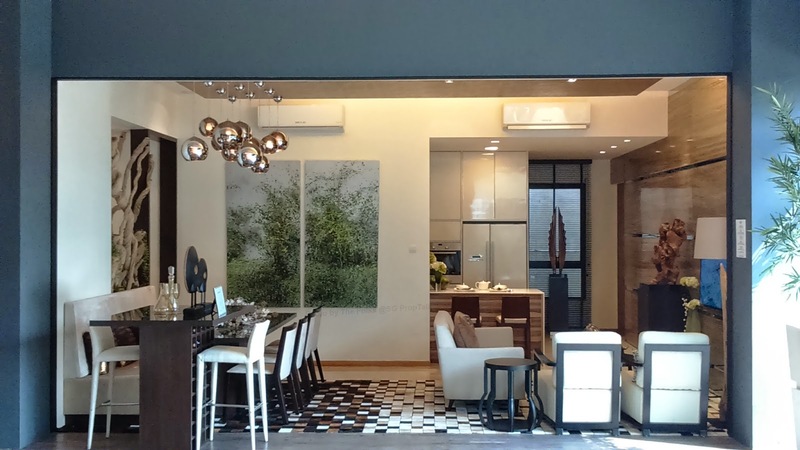 One of our readers had requested that we do a review on this project and we deemed it opportune as well, since it will allow us to compare with what we had seen at The Skywoods about two weeks back. The reason why we deemed Eco Sanctuary as "old" is because the project was launched sometime during the end of 2012, which means that it has been in the market for coming to 2 years now. 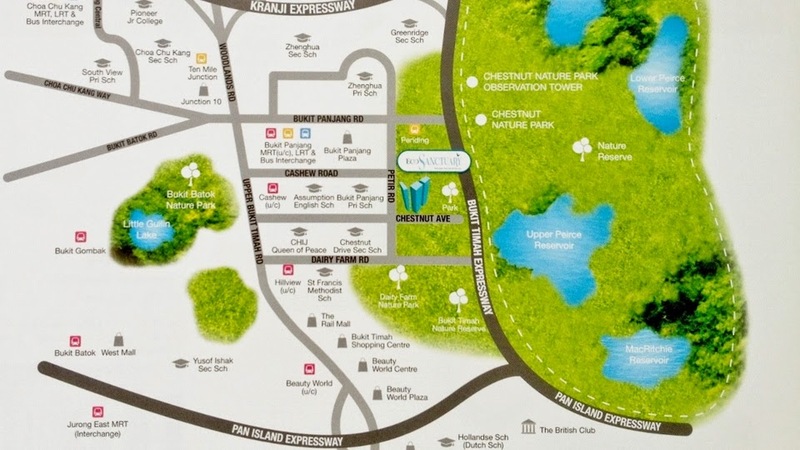 Eco Sanctuary is developed by SP Setia Group, a Malaysian developer that has been in the news for quite a bit over the past year. If you find the name familiar, it is because they are the folks responsible for the "Battersea Power Station" residential project in London that supposedly have seen strong sales. 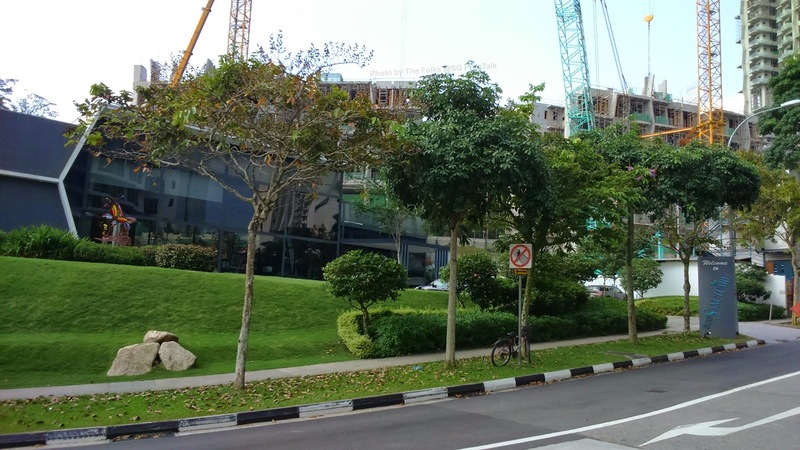 The 99-year leasehold project sits on a plot that is slightly over 200,000sqft located at the junction of Petir Road and Chestnut Avenue. It is currently estimated to TOP in the second half of 2016. The sales gallery is located on-site. 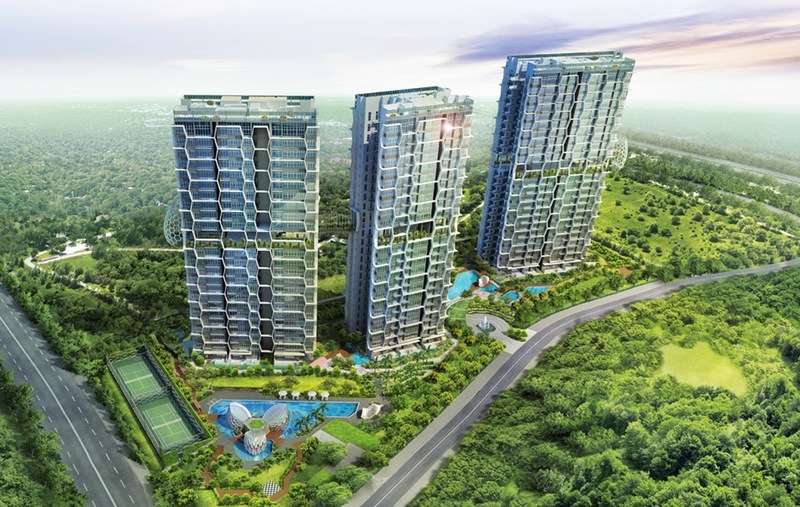 Eco Sanctuary consists of 483 apartment units spread over three 24-storey tower blocks. In terms of unit types, the project has a generous spread consisting of 1-bedroom, 2-bedder, 2+Study, 3-bedroom, 3+Study, 4-bedder and penthouses. Supposed 360 degree unobstructed views for the higher-floor units. Tall ceiling heights for all units - the typical ceiling height is 3.4m while the ground floor units get 4.2m ceiling. The ceiling height for penthouses go up to 4.8m. The entire development is located on elevated ground. So units on the ground floor are supposedly 7 to 8 storeys above nearby developments such as Tree House or Foresque Residences. A sky bridge on the 14th floor links Tower A to Tower B. And the 14th floor of all towers are designed "sky clubs" that come with various communal facilities. And speaking of facilities, what you can find at Eco Sanctuary is quite generous. You can expect the standard mix of different "themed" pools and pavilions to more unique offerings such as a giant chess-board and lawn bowling. But the centre-piece must surely be the Y-shaped "Island Club" clubhouse located next to the main lap-pool, which houses the entertainment and function rooms. And for tennis enthusiasts, Eco Sanctuary comes with not just 1 but 2 tennis courts - okay, one of them is supposedly a "Multi-purpose Court" but we reckon it is suitable for use as a second tennis court. The project also comes with 2 gyms - one of the ground level and another "sky gym" located on the 14th storey of Tower C.
The wife and I were told that Eco Sanctuary has just re-launched the high-floor units in its "premium tower" that is Tower C. The project is more than 80% sold with most of the units in Tower A and B (that were launched earlier) already taken up. 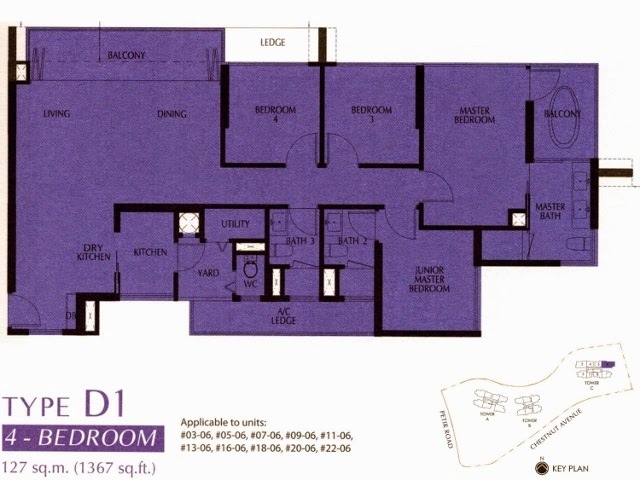 We will concentrate our review on the 4-bedder available in Tower C. This is a 1,367sqft unit (Type D1). 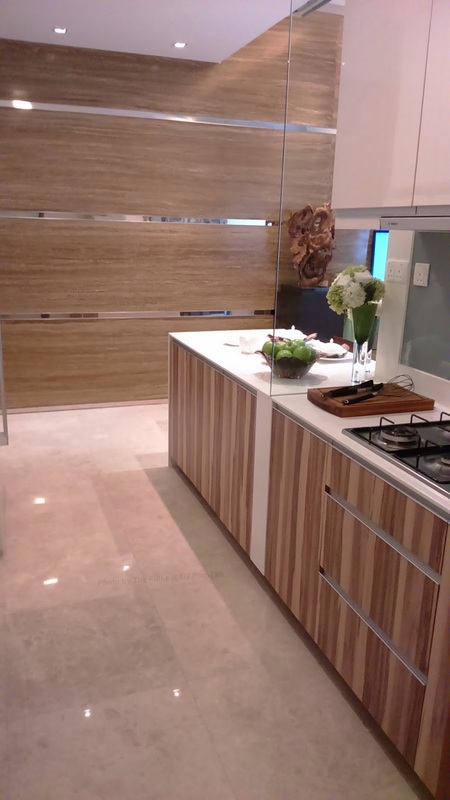 As per most new developments these days, the first area that you come across as you enter the main door is the kitchen. This is a longish strip that is consisting of both "dry" and "wet" sections. The space is quite sufficient for 2 people to be working alongside. 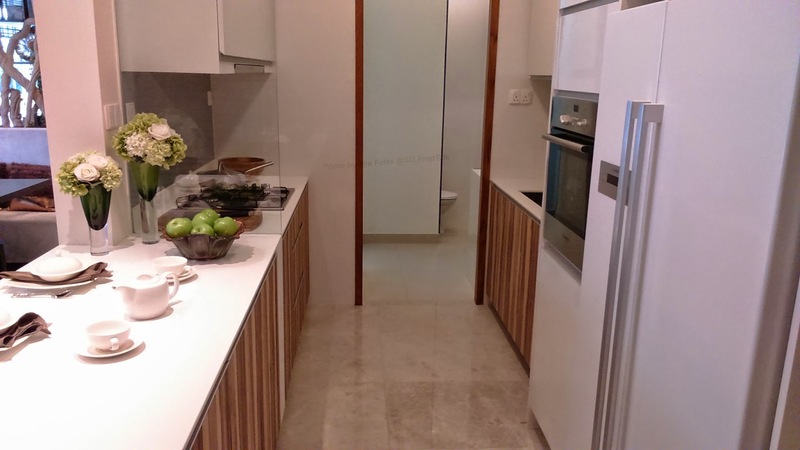 The kitchen comes equipped with Bosch appliances and a generous spread of top/bottom cabinets. The mega 2-door fridge should come in handy for those who like to stock up their home with food for the whole week. 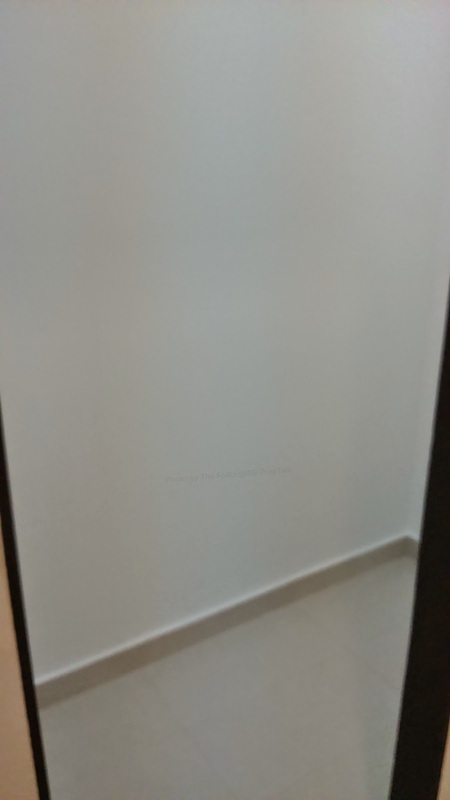 The wife and I were surprised to find marble flooring covers the whole kitchen area, which is quite the exception (especially with mass market projects) these days. And unlikely many other new projects these days, the 4-bedder in Eco Sanctuary actually comes with a sizable yard. This is where you house the washing machine (provided) and perform your laundry duties. It is also where the utility room and a toilet are found. However, if you intend to use the utility room as your helper's quarter, you may have to do a re-think as the room is way too tiny (in our opinion) for anyone to sleep in. 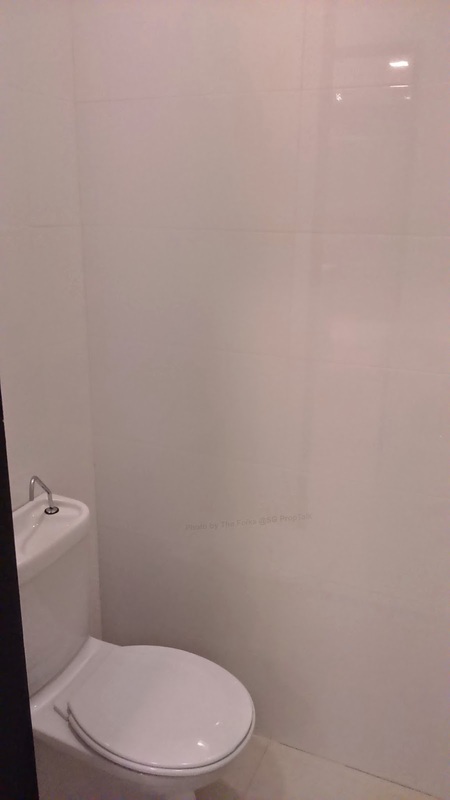 And we really meant it when we said that the bathroom located next door is a "toilet", as it does not come with shower facility! The living/dining area is a rectangular space of decent size but you probably should not opt for big sofas or large dining set. The marble flooring and 3.4m ceiling are definitely the highlights of the whole space. A balcony extends outwards along the length of the living/dining area, taking up about 140sqft of space. The bedrooms and tucked neatly on one side of the apartment. 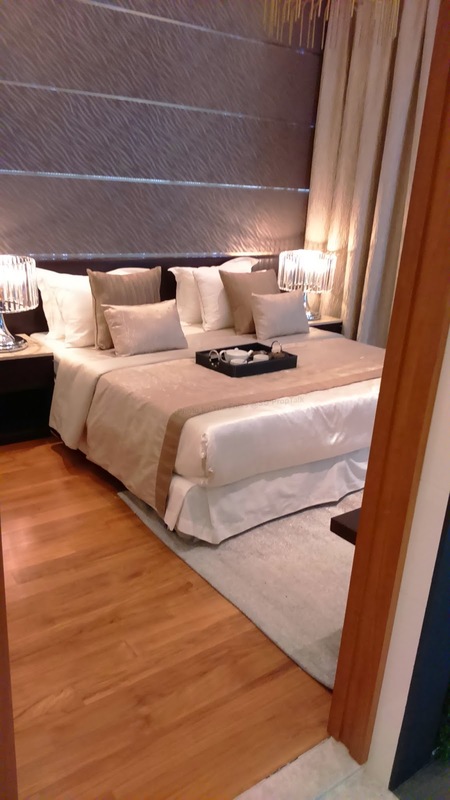 The size of the two common bedrooms are typical of what you expect with new projects these days, although the wife and I swear by the fact that these are actually smaller than the ones found in the 3-bedroom showflat. The common bathroom looked quite big and both the floors and walls are nicely decked with marble tiles. But the bathroom furnishing looked a bit too stark for our liking. The bathroom fittings are from Hansgrohe while the toilet and wash-basin are from Vitra. The junior master suite is only slightly bigger than the common bedroom and you are left with little space after fitting a Queen-bed inside. 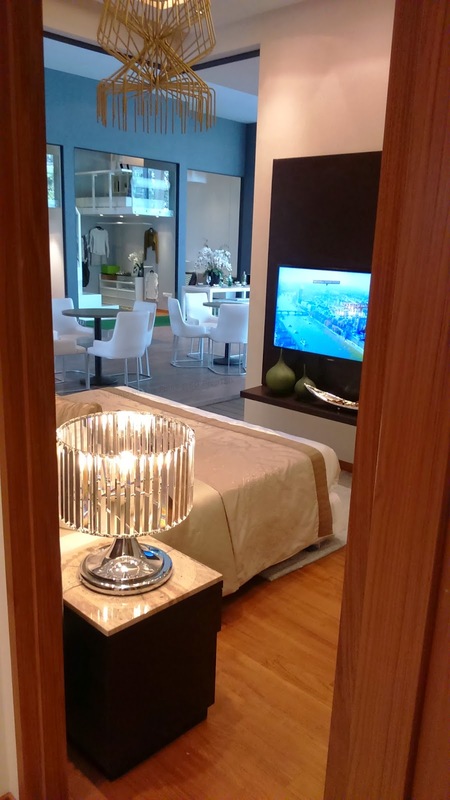 The master bedroom is probably one of the biggest among the recent projects that we had visited. Even with a King-bed fitted, there is still a decent amount of space around the room. 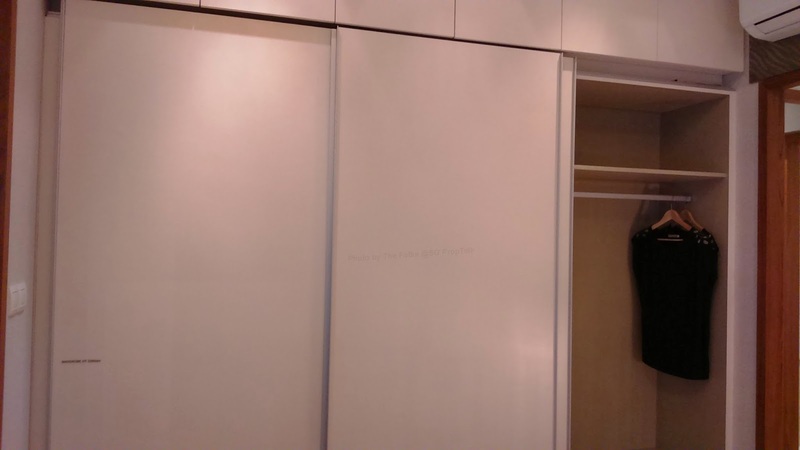 It also has the largest wardrobe that we had come across in a long while - all 3 panels of them. And to top it off, the wardrobe is full-height, meaning you get additional storage on top of the wardrobe. 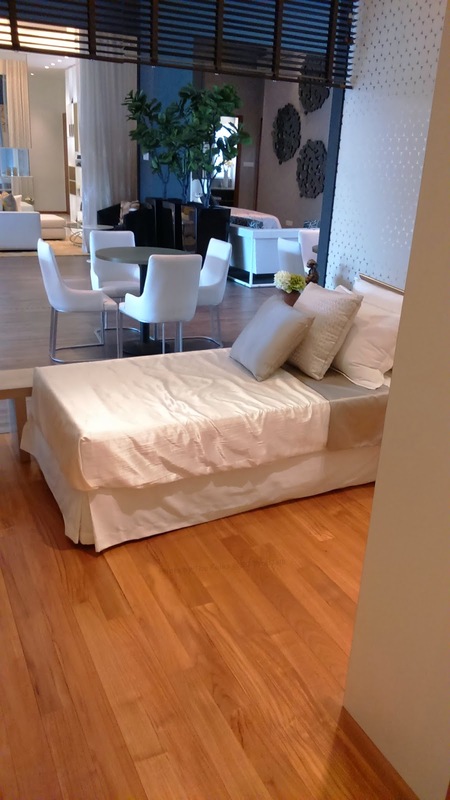 All bedrooms come with solid timber flooring that appealed to our sight and touch. The master bathroom is huge, so much so that it can afford separate "His" and "Her" wash-basins. 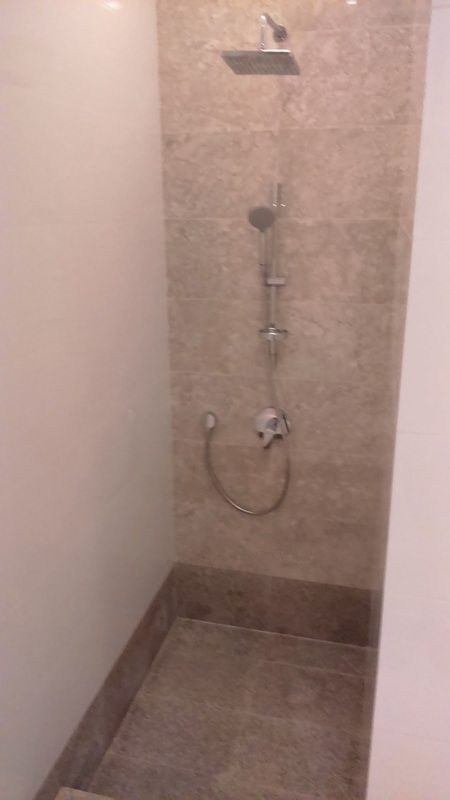 And instead of your ordinary shower stall or long-bath, it comes with a sunken shower with rain-shower to match. But again we aren't too impressed with the stark furnishing and somewhat "jaundice" look. Price wise, Tower C only has one stack of the 4-bedders (stack #6) - this is an outward-facing stack towards the Bukit Panjang Park. A unit on the 5th floor is asking for $1,668,970 ($1,221psf) while a unit on the 18th storey will cost you $1,804,409 ($1,320psf). Prices are after a 4% discount. 1. 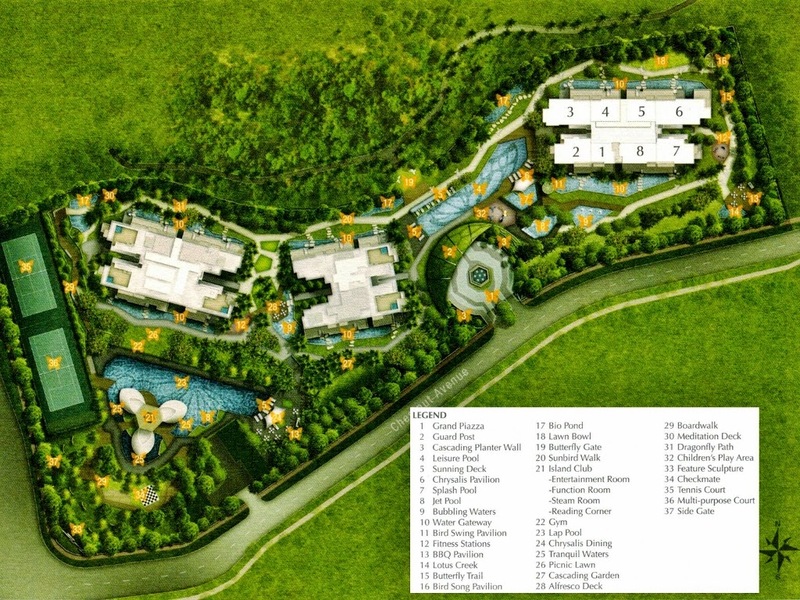 It is quite evident that the SP Setia is prepared to splurge on this project. 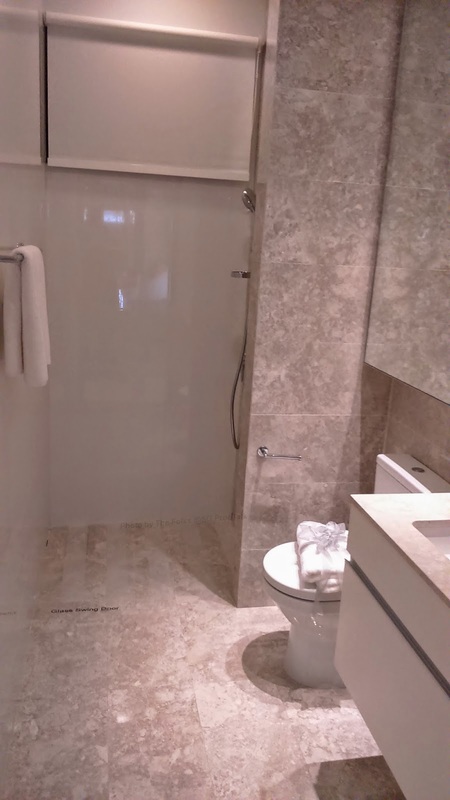 The amount of marble used within the apartment is comparable to those found in high-end projects. The wife and I aren't expert on timber but those used to deck the bedroom floors looked to be of relatively good quality. And the high-ceiling in not just the ground-floor but all units within the development provides an extra dimension of space within each unit. 2. The decent space allocated to the kitchen, yard, living/dining and especially the master bedroom. These are about the largest that we have seen so far. 3. The 3-panel, full-height wardrobe in the master bedroom, which is a welcomed change compared to the stingy amount of wardrobe space you get in new projects these days. 4. Eco Sanctuary is adjacent to the Bukit Panjang community garden and park - the wife and I have not heard of this garden/park till last week but it looked to be a rather large piece of open space much like Bishan Park. The developer will provide a dedicated gate for residents to access the garden and park directly... without having to circle around the estate or scale the perimeter walls. 5. The elevated plot that Eco Sanctuary resides on meant that even the ground-floor units will tower over those at Tree House located across the street. And your 10th floor unit will effectively be the 16/17th floor equivalent at Tree House. 1. The tiny utility room which has limited usage except as a storage area, while the bathroom in the yard has no in-built shower. 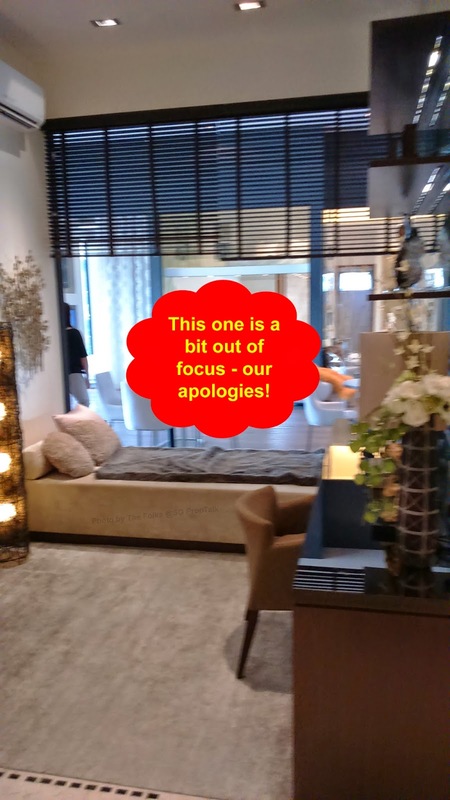 This is definitely not conducive for those who are looking for a 4-bedroom unit, as many of such household are likely to come with a helper. 2. 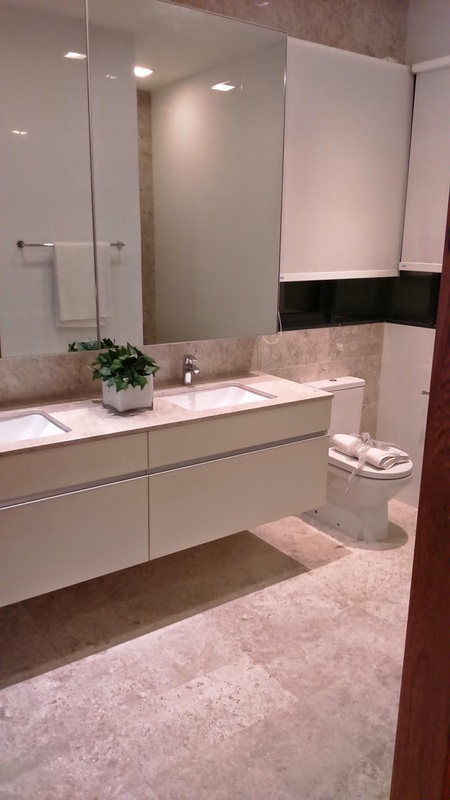 The design and furnishing for all the bathrooms are not quite on par with the money that developer has splurged on the marble floors and walls. 3. For those with primary school-going children come 2016/2017 and no affiliations, your only 2 options within 1-km of Eco Sanctuary are Bukit Panjang Prmary (co-ed) and CHIJ Queen of Peace (all-girls). 4. 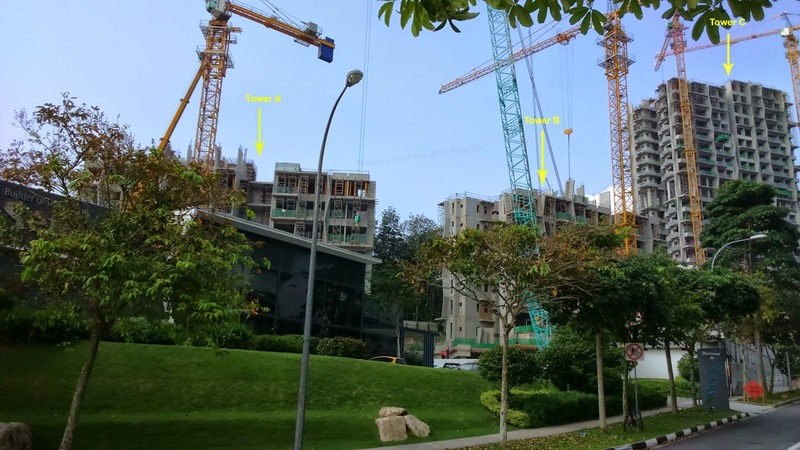 Eco Sanctuary is almost equidistance to both Hillview and Cashew MRT station on the Downtown Line Stage 2 scheduled for completion in end-2016. However, both stations are about 1.5km away - the equivalent of a good 20 minutes walk or a short drive. Consolation is that for the first 2 years after TOP, there will be shuttle buses running from the development to the MRT station. The wife and I came out of Eco Sanctuary with very mixed-feelings - there were aspects of the project that really surprised us in a good way (e.g. marble floors, high ceiling, large wardrobe and bathroom in the master bedroom). But there are other aspects that made us wondered what the developer was thinking when they did what they did (e.g. 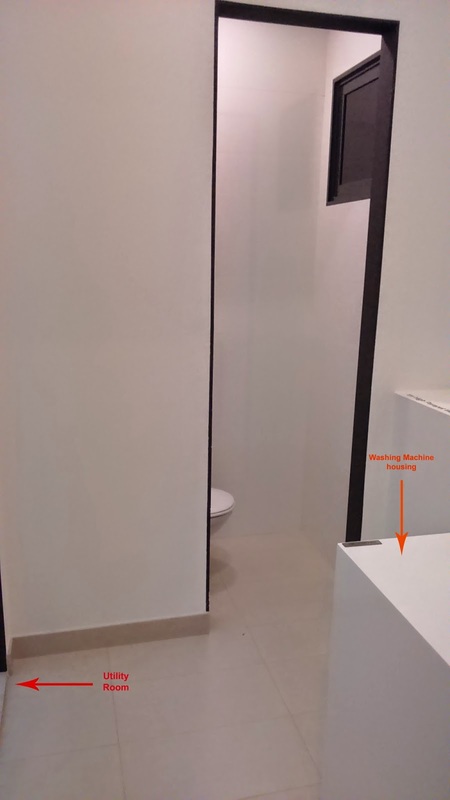 the less than hospitable utility, no shower installed in the yard toilet and the design/furnishing in the bathrooms). 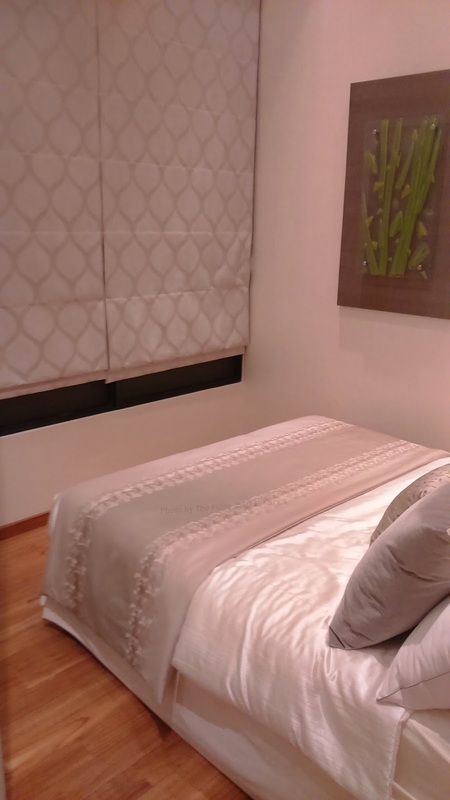 We feel that Eco Sanctuary is definitely a better buy (quality wise) than say, The Skywoods. But at $1,220 - 1,320psf, the wife and I will probably put our money on say, The Panorama... unless you really like the Diary Farm area. No Comment to " Eco Sanctuary (Review) "